In Need of New Equipment, Parts, or Service? We are here to help with all your equipment needs! Our inventory includes parts for the top name brands. We guarantee that if you buy your equipment here, and should it ever need service, we will complete the job in one working week! If we cannot, you will receive a FREE loaner to use until your unit is ready. Welcome to Ralph Helm Inc.
Ralph Helm Inc. has been serving the Fox Valley since 1923. Our two locations in Elgin and Crystal Lake, IL are dedicated to old-fashioned customer service. Need a part for your outdoor equipment? Whether you need Cub Cadet parts or Troy-Bilt snow blower parts, you can use our free parts lookup and have them shipped directly to your home or business. Our Ralph Helm Inc. Advantage Service Guarantee is known throughout the industry as it provides our customers with guaranteed priority service and a loaner for the lifetime of their unit. 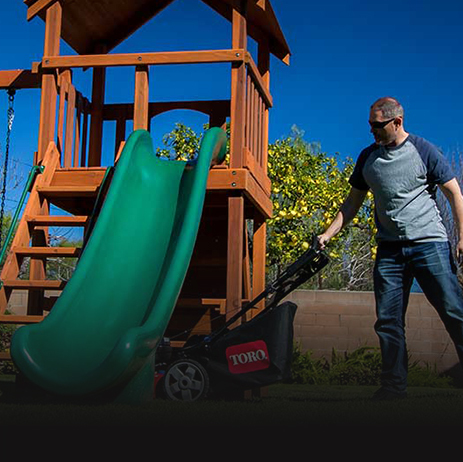 We carry premium brands of outdoor power equipment, such as Toro lawn mowers, snow blowers, tractors, zero-turn mowers, and commercial mowing equipment. We also carry Cub Cadet parts, tractors, zero-turn mowers, snow blowers, and utility vehicles. No matter what you have your eye on, Ralph Helm Inc. has the equipment you need.